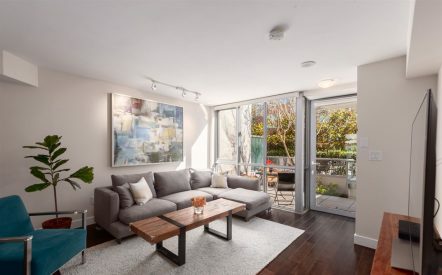 In 1 of the city’s most connected beachside communities – this spacious, meticulously maintained corner suite is a pleasure to show. Enjoy a functional floorplan with wood floors, large windows, pretty treed views & a wraparound deck. Finally, a dining space big enough for entertaining! Massive living room has sliding doors to the lovely, quiet balcony with a charming outlook. Spacious bedroom has double closets. Fees incl heat. 1 parking & locker. Pets, 2 rentals allowed (@max) & shared laundry. Popular strata with excellent upgrade record: Parkade/Boilers/Elevator/Lobby/Roof since 2002. 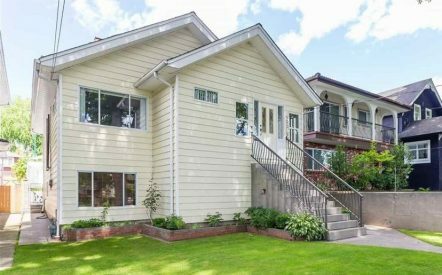 Incredible location a short stroll to Kitsilano Beach, Downtown, Granville Island, West 4th Ave shopping district, No Frills, Starbucks & the beloved 5th Ave cinemas etc. MUST-SEE! 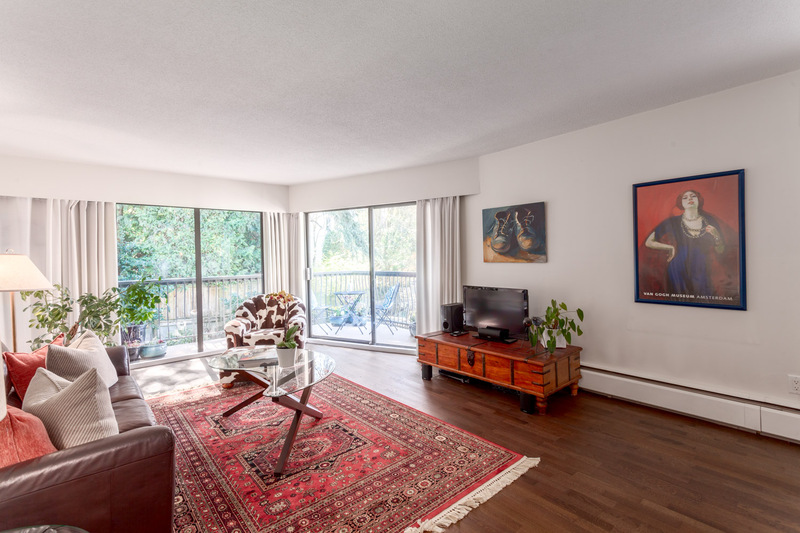 Check out all of the details of this condo for sale, 229-1844 WEST 7TH AVENUE in Kitsilano.